Microbiome. 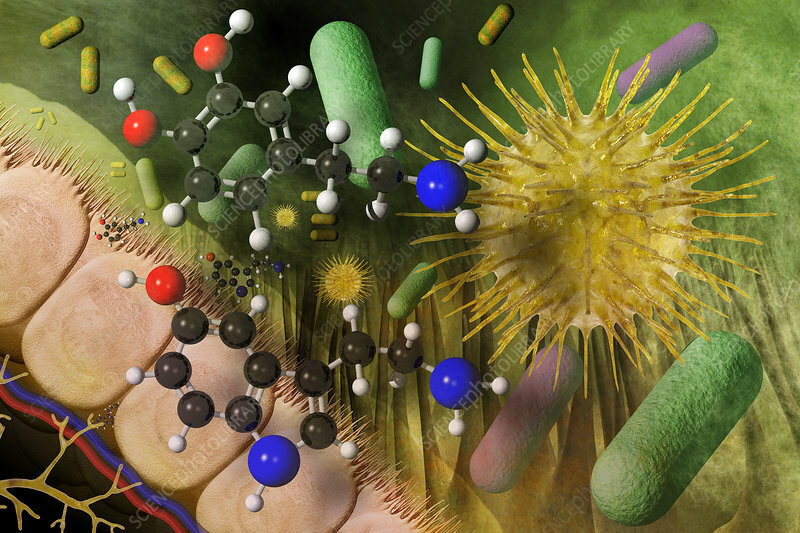 Recent studies have shown that our microbiome (gut bacteria) make some of the chemicals, such as dopamine (above) and serotonin (below), that neurons use to communicate with each other. Gut bacteria can deliver these neurotransmitters to the nerve endings that line the gastrointestinal tract. And in doing so, they can alter the biochemistry of the brain which, in turn, can alter our eating habits. Molecule key: black=carbon, white=hydrogen, red=oxygen, blue=nitrogen.